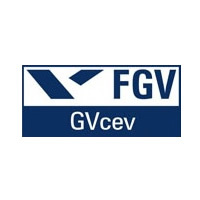 The Centre of Excellence in Retail FGV-EAESP (GVcev) studies and develops activities in the Base of the Pyramid market since 2004. In 2007, GVcev established a cooperative agreement with Cornell University, USA, and integrates a global network of universities and organizations studying and working with the Base of the Pyramid. This is the BoP Lab Network. Owing to the importance of sustainability for activities at the Base of the Pyramid, in 2011, we integrated our programs of Base of the Pyramid and Sustainability creating the so called program: Sustainability and Base of the Pyramid in Retailing. Our focus is to develop research, publications and academic activities in the areas of sustainability and base of the pyramid in distribution and retail, being a catalyst of practices of social responsibility and social inclusion.